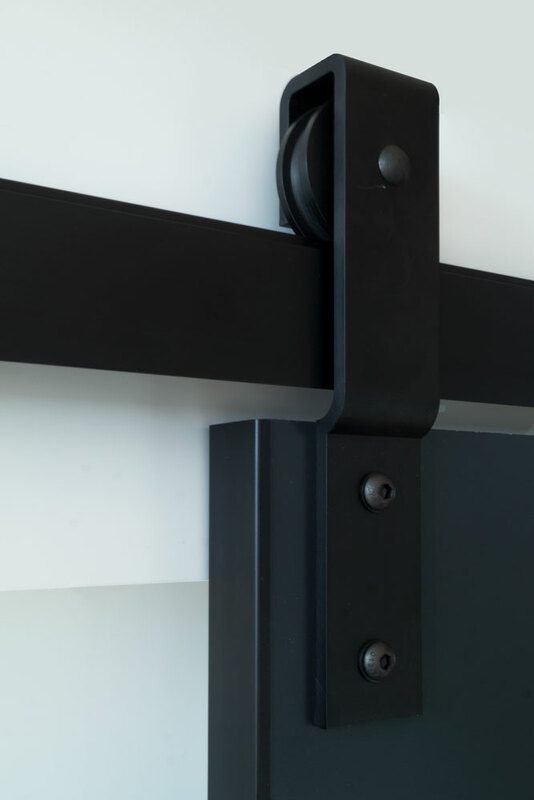 The track bracket is supplied with pre-machined fixing slots for quick and easy installation. 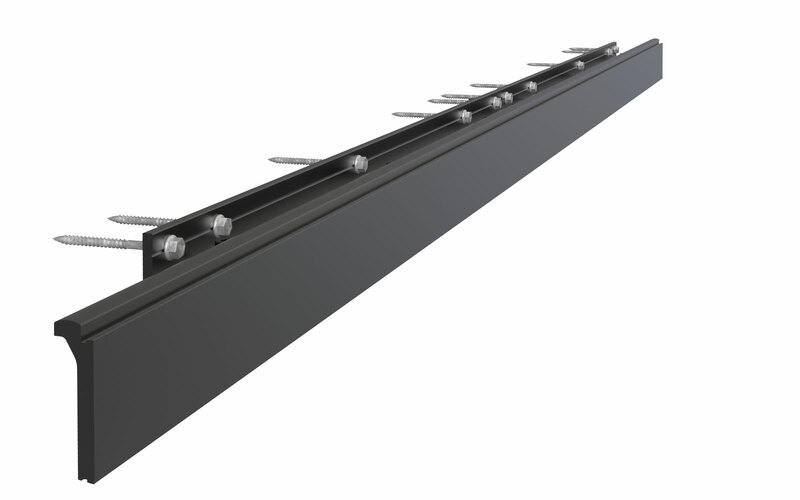 The track is pre-finished black anodised and supplied complete with fixing bracket, stops, door hangers and T-Guide. 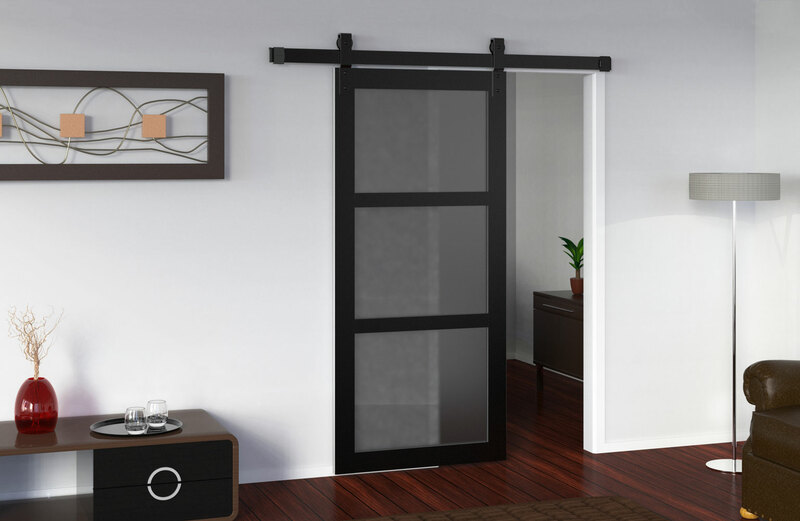 - Track bracket is adjustable in or out from the wall. 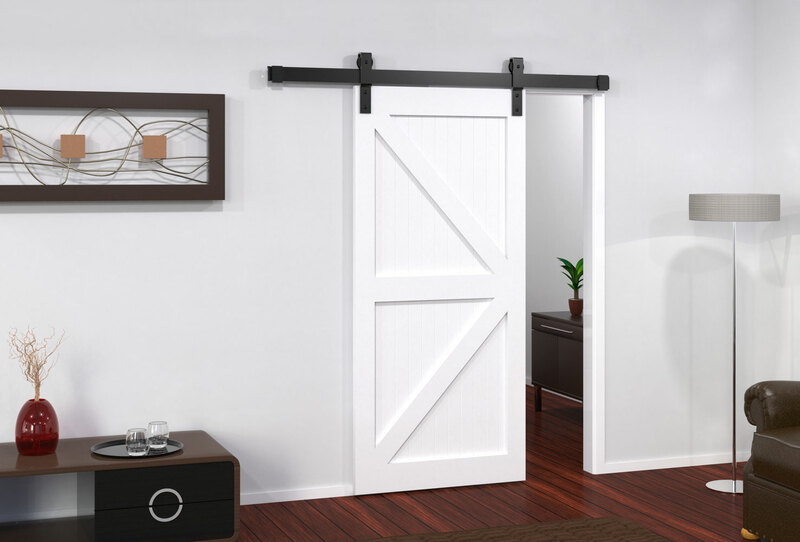 - Suitable for heavy doors up to 300kg per track. 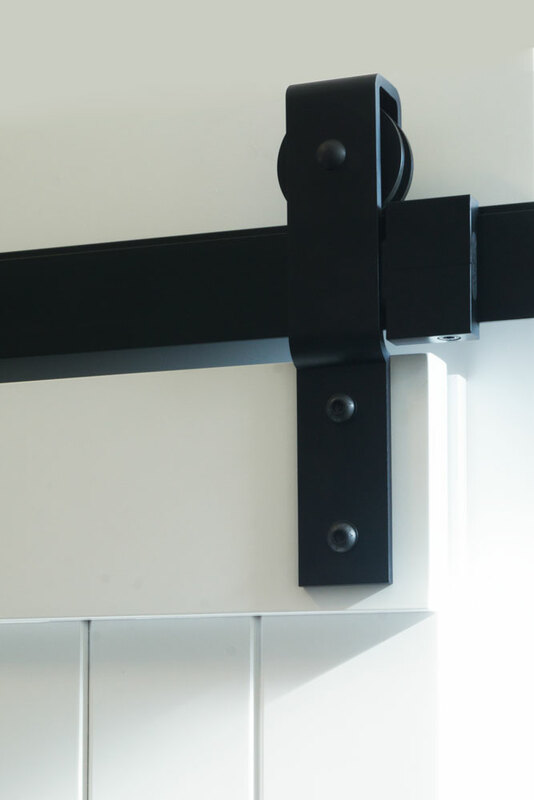 - Standard or narrow track bracket available to suit varying door/architrave/gap thicknesses. - High-quality, heavy duty extruded aluminium track. - Pre-machined wall fixing holes. Additional holes can be drilled on site if required.